For most fourth-graders in Florida, a field trip to St. Augustine is a rite of passage. 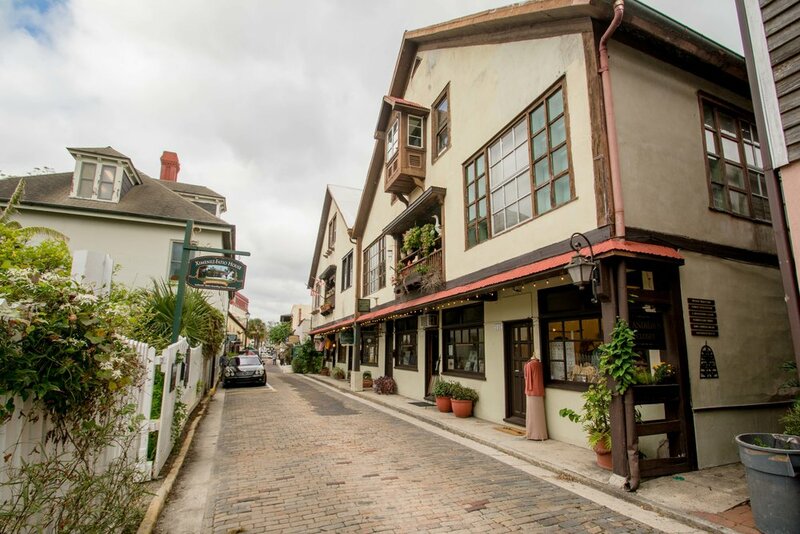 As the nation's oldest city, the colonial settlement has much to teach visitors about history, economics, and urban design. A city built well before cars, its meandering streets and medieval buildings would have kept Europeans feeling right at home. In the historic center, residences intermix with restaurants, museums, shops, offices, and inns, creating a truly "mixed use" community. Street trees abound, helping define the space and enhance the pedestrian experience; buildings extend all the way to the street, utilizing space efficiently and providing much to keep passersby intrigued; indoor arcades offer refuge from the Florida weather and a sense of discovery to the unexpecting visitor; and passageways connect larger streets, giving restaurants an intimate space for outdoor seating and pedestrians many ways to get around town. 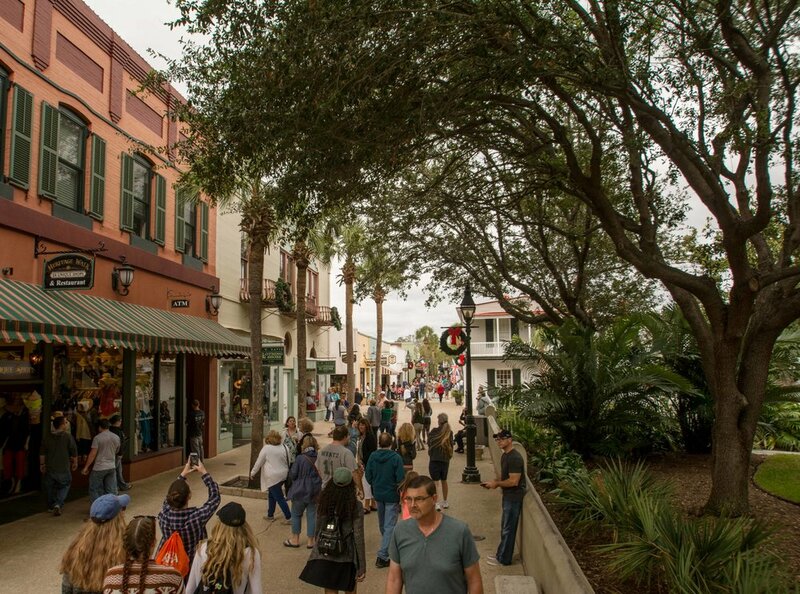 Palms, plants, and most of all people, are welcome on the streets of downtown St. Augustine. Houses near to the city's center enjoy a uniquely Florida taste, with palm trees for columns and even garages for bicycles. An eye-catching statement of one craftsman style house: the carport used instead for its two-wheeled brethren. Nearby, a neighborhood park conserves the riverfront and makes the view accessible to all. Spot the palm tree columns on the house? A great example of vernacular architecture and using local resources to create buildings that fit the local environment. Even for fourth graders, the difference between downtown St. Augustine and the suburban alternative is readily apparent. The historic center harkens to a different era of city building—an era when compact, pedestrian-centered development prevailed; when streets and cities were made for people. Today, this legacy continues—even when the surrounding region is built for an auto-oriented lifestyle. The historic district now experiences car traffic but makes little distinction between the pedestrian and vehicular realm, in many places blending sidewalk and street into shared rights of way. The message to visitors: Enjoy the meander, and share the road. 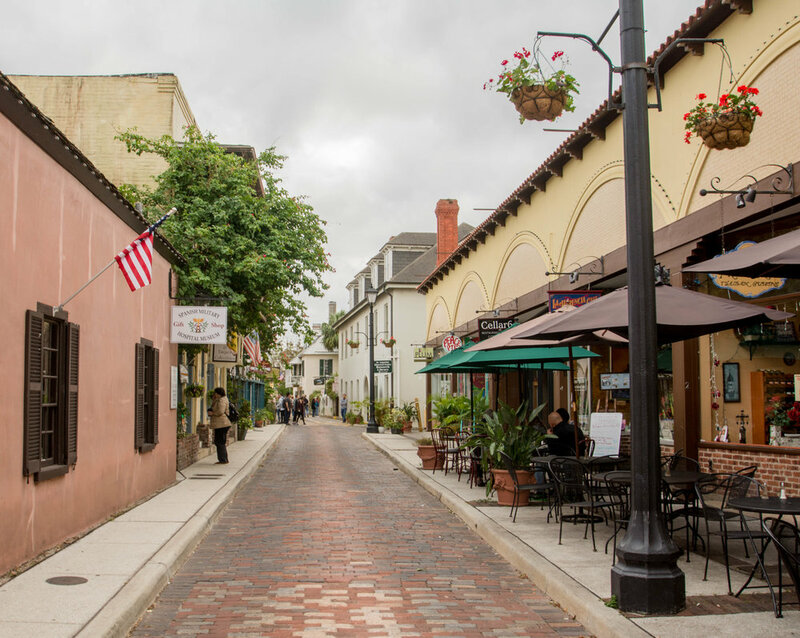 One thing about St. Augustine is clear: people can't seem to get enough of a city built with people in mind.